Equipped with the most advanced motion capture technology available to the world of veterinary medicine, the Canine Movement Laboratory at the Swedish University of Agricultural Sciences continues to push boundries in canine research. The use of motion capture to study human movement, whether in a gait laboratory or on a sports arena, is nothing new to our industry. Equine locomotion researchers have utilized motion capture technology since the 70’s. But what about our smaller, four-footed friends? Many dog-owners have probably asked themselves one time or another; is that a slight limp there, is my dog in pain? It can be hard to judge sometimes by simply watching. And worse yet, really locating a problem is often harder than it seems. What may be identified as a back pain, may actually be the result of a hock-related problem. So, let us leave this to the experts. The SLU canine movement laboratory, part of the Department of Clinical Sciences and the University Animal Hospital, is run by veterinarian and movement researcher Pia Gustås, professor Anne‑Sofie Lagerstedt, and veterinary medicine physiotherapist Kjerstin Pettersson. The laboratory is the very first of its kind in Europe. In the laboratory, dogs get their share of daily exercise on a treadmill, whilst having their movements recorded by eight Oqus 300 cameras. A Kistler Walkway Force plate provides force data from each paw. Combined with the motion data, researchers are given sufficient information to correctly locate problems and make an objective assessment of the dog. One key interest at the SLU lab, is to evaluate which treatment, whether it is a certain orthopaedic surgical procedure or physiotherapy, is the better choice at different injuries and/or movement disorders. Pia Gustås, senior lecturer, veterinarian and movement researcher. One recent study compares two different methods of surgery used when treating cruciate ligament disorders. 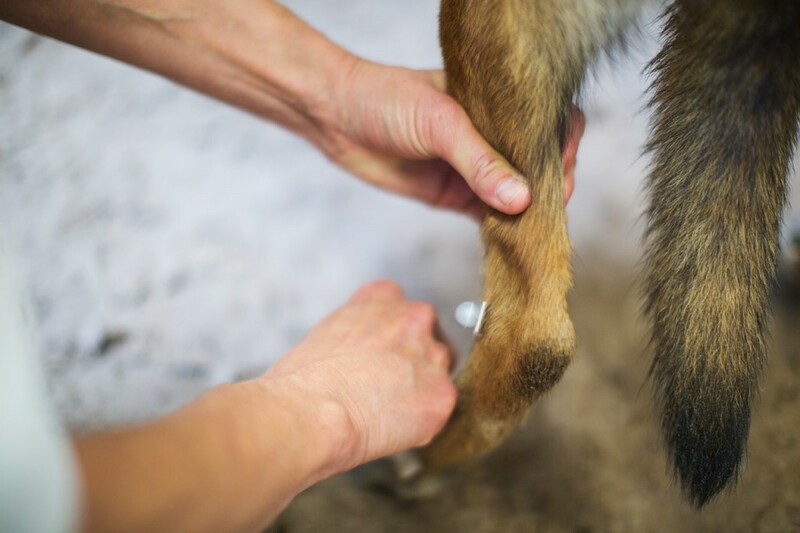 Another main research area is the study of healthy and unhealthy angulation in different dog breeds. Some breeds have over,- or under-angulated joints. What are the biomechanical consequences of sickle-hock in the German Shepherd breed? How much angulation is needed for functional efficiency and what level of angulation is harmful to the dog? These are the types of questions that the SLU movement lab are seeking to provide answers to. It is not just pathological movement patterns that are being recorded in the SLU lab. In a large-scale project that started back in 2007 (with the ProReflex system), normative data from dogs with normal healthy gait is being collected and used to aid the research of unhealthy dogs.